Help! My son with LD and an IEP is graduating from high school and I understand he will lose his IEP. Will he have a 504 now and who will do it? What colleges are best for kids with learning disabilities? Gina-Marie: Thanks for writing. I’m posting your comment because at this time of year, I know many parents have the same questions about the transition to college. The good news is that there are many resources that will guide you through this process and help answer your questions. You are right, when your son graduates from high school with a regular diploma or reaches the age of 22, his entitlement to rights under IDEA ends. 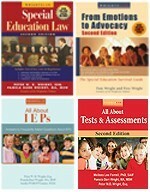 Your son’s IDEA rights do not follow him into college and neither will his IEP. 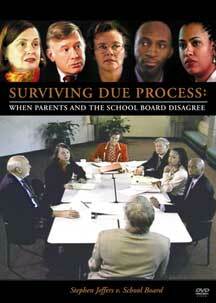 Post-secondary schools have no obligation to create a document like the IEP and there is no protection under IDEA. 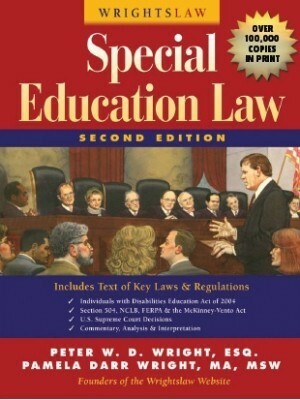 But post-secondary schools are subject to Section 504 and Title II of the Americans with Disabilities Act. You need to make sure you both know what to expect. Any college or university receiving federal funding is now required to have a disability services office where students with special needs can register to receive reasonable and appropriate accommodations for their disability. If your son decides to ask for accommodations, he should contact the disabilities services office at the college he will attend. 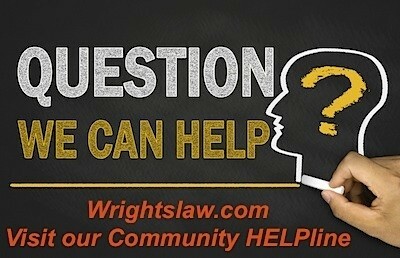 Your best bet is to go to the College and Continuing Education Page at https://www.wrightslaw.com/info/college.index.htm. This page has comprehensive information, great guides for choosing a college for a child with a disability, as well as financial aid information. Transition to Life After High School. This podcast discusses the basics every high school student and family should know about how to plan for a successful transition from high school to college for students with learning disabilities. You may want to listen first, make notes. Then listen again with your son, call attention to key information, and be prepared to answer any questions he has. I know, I know – a lot to read. But you’ll be glad you did. Good luck, and congratulations to your son, the graduate! 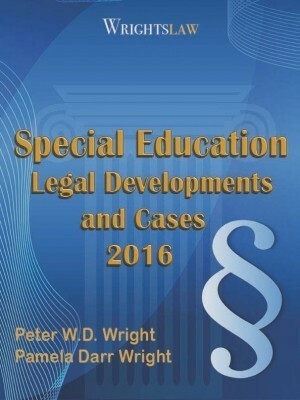 This entry was posted in Accommodations & Modifications, Advocacy, College & Continuing Education and tagged Accommodations, ADA, College, Continuing Education, Section 504, Self Advocacy, Transition by Wrightslaw. Bookmark the permalink. Help. My son is graduating from high school and recently tested out of IEP. School said that he shows weaknesses but not enough for IEP. HE has documented Central Auditory Processing. He struggles in school and can barely pass an exam, but they said he tests average and no longer has as specific learning disability. How does this impact a 504 in College. Will a report from an audiologist showing CAPD be good enough for the college to offer 504. What options do I have to help this kid succeed??? Frances – First, check into the Forman school in Connecticut. The school’s website has great advice about college planning that I am using with my middle school student. There are many types of colleges. For now, I would carefully look at transition planning and include your child in the process. Many LD students who are into sports get into schools on athletic scholarships and get a lot of supportive help and wrap around support. I also had the school raise the academic expectations with my child as I needed for my chid to learn more course content to prepare for college, military, etc. The teachers should explain the comments to you as they may have some valuable insight and data to share and they need to hear from you since they made the comments. Frances I would love to know how this teacher knows this for sure that your “child will not be able to attend college.” All children can progress as far as possible. I was told years ago that my son would go to a trade school. I do not believe in limiting any child. My son is now in community college. When he was young he was identified as developmentally handicapped a form of mental retardation. Because of his learning disability the standardized tests they used did not capture his true level of intelligence. I discovered because of his dyslexia & lack of ability to read & write until much older a Non-verbal standardized IQ test showed a higher IQ score which is what he had. No one should ever tell a child they cannot go to college. 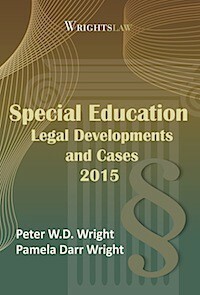 All state colleges and community colleges should have a resource center for Ld children. What if the middle school teachers have already told my child she will not be able to attend college? What colleges offer degrees to children with learning disabilities after high school? Frances – please check the articles and resources on this page – College and Continuing Education. You will find out how to get started, find lists of colleges who offer programs for children with learning disabilities, take virtual tours of programs, find success stories and much more. I am in need of a 504 plan for stomach and chorn’s problem but can not seem to find one could you help in this matter? I am a special education teacher but I also happen to have epilepsy and ADHD. After leaving high school I was directed to go to a vocational rehabilitation center and apply. They upkeep your 504 plan and can pay for college if your student is planning to attend. If not, they help with job seeking. I have been a teacher now for 5 years and they still periodically call to check up and review my plan. Most counties have their own vocational rehabilitation center. Just check in the phone book for a listing. 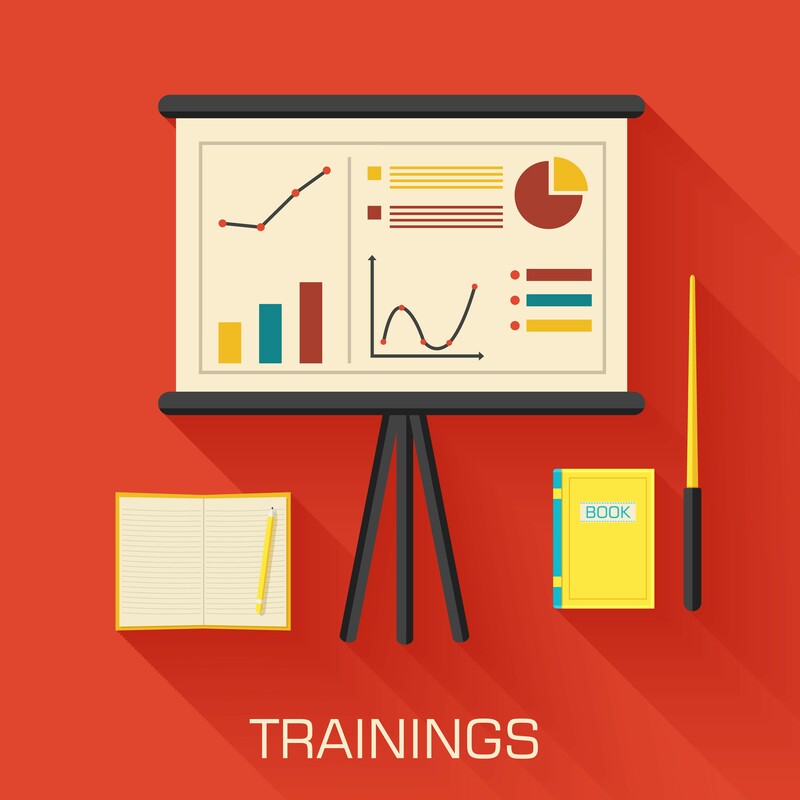 Having gone through the experience of a child graduating without the necessary skills to be successful in a college setting, the transition consultant advice is good providing that the consultant is willing and available to attend the Committee on Special Education (CSE) transition meeting. My school district (or the transition planning state agency) would not attend the CSE meeting, but would only meet with the parents, student and a teacher outside of the committee. Proper transition planning and getting it into the I.E.P. was not successful. My high school graduate is now going into the 4th year at a community college and still struggles. Still cannot self-advocate, which is a very important skill. Hasn’t felt successful, so the motivation piece is missing. I read with appreciation the question and information about transitioning. We also have a high school senior who will go on to college next fall. 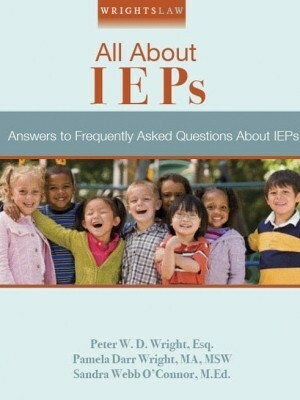 He had an IEP through school and I had a similar question that I am still a little uncertain about. Is it accurate then to assume that he does not need a 504 to present to the college, as long as he has an up-to-date diagnosis and recent and adequate testing? One further question, would it still be helpful to have a 504 written up for college(s) and or future employment, and if so, do colleges (or who) could perform this service? You will probably get other responses, but I have a few thoughts. First, what kind of transition planning have you, your son and the district done? Your state may have coordinators who can assist in planning for his future. Check with your PTIC (Parent Training and Information Center). Find it in Wrightslaw Yellow Pages for Kids. Next, understand that getting an IEP diploma may not release your school from the responsibility to provide education. Your son should have until the end of the school year in which he turns 21. Third, consider getting an independent educational evaluation. 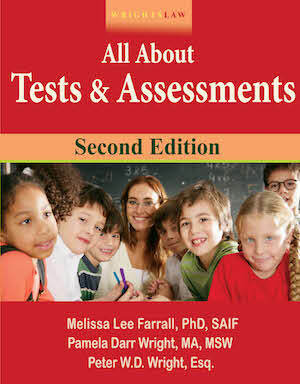 You and the school need diagnostic information that explains explicitly what your son needs in order to learn effectively. Last, motivation can be a tricky issue. Schools may say that until the student is motivated, they cannot do anything. In fact, my experience is that it works the opposite. When the school actually starts to provide appropriate supports, services and programming, motivation kicks in. A mentor can help but it must be an adult who is either part of the school system, or has some connection, and therefore credibility, within the school. Also, the mentor must believe in the student. That person can both assist the student, and advocate with the teachers. Increasing motivation is best based on positive behavioral supports, with all adults recognizing successes, rather than failures. My son is 17, ADHD, and ED(depression). He has a mood disorder that we’ve struggled with finding the right meds. this year. He is still in the 10 grade and is about to age off the campus without passing his mainstream classes. We’ve had several ARD meetings this year that ultimatley ended in him recieving instruction in the Special Ed room for the classes he was failing. His testing says he is within average intelligence and should be able to do the work. In fact his verbal skills were rated in the superior range at times. It’s a motivation issue is what we keep hearing. He doesn’t do homework and doesn’t study for tests. He really dislikes going to school. I understand how he came to feel this way as we have had a very long struggle with 5 districts and him being bullied all along. Our most recent IEP meeting went on for 7 hours and finally I agreed to let him graduate by his IEP. Now I’m feeling really guilty about it and wishing there were some way to make them teach him what he needs to know to graduate with a regular diploma. Any suggestions? How can we get this kid to experience some success that may motivate him into trying harder? The information provided for this parent was outstanding. In most states and as part of the IEP Process or 504 process a Special Education Transition Consultant should be available to assist the graduate prior to graduation to understand the post secondary college support system. Visiting the college of choice with the most current IEP/504 and a copy of the MD diagnosis or school diagnosis is very helpful for the disability services office to make reasonable acomodations. However, the student must learn to take the steps to self-affacocy. You have probably been your son’s chief advocate through his life. As he begins the transition from high school to “life after school,” he needs to learn to advocate for himself. You can help by printing two copies of this article – “Self-Advocacy: Know Yourself, Know What You Need, Know How to Get It” by Nancy James. Nancy was diagnosed with dyslexia in the second grade. Although she was identified early, her teachers were not trained to teach dyslexics. In sixth grade, her parents learned about the proven methods to teach dyslexics to read. They arranged for he to work with a tutor who was trained in an Orton-Gillingham based program. Nancy learned to read and write (as you see in this article). Nancy’s article is based on her own experiences – some rewarding, many frustrating. Self-advocacy is the ability to understand and communicate our needs to others. To be effective, we need to educate the people around us. 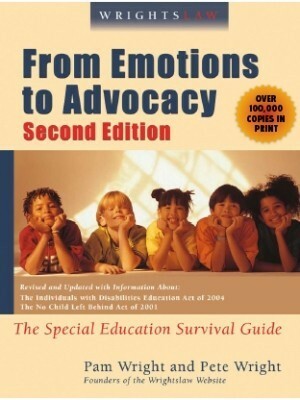 To be an effective self-advocate, kids need to know themselves, know their needs, and know how to get what they need. At the end of Nancy’s article is an extensive references and resources, recommended books about choosing a college and more. Update on Nancy: After graduating from college, she continued her studies. She is a Certified Member of the Academy of Orton-Gillingham Practitioners and Educators (AOGPE). In 2007, Nancy entered graduate school at the College of Psychology and Behavioral Sciences at Argosy University in California. As a college student myself, I know for a fact that there are many colleges that will work with each student. In my case, the disability coordinator helped me draw up my official accomidations and then told me to talk to each professor. I stay in contact with all of the professors and all of this have been very helpful! The key to this is communication. Your son HAS to stay in touch with professors. The biggest problem faced by LD kids when they get onto college campuses is their refusal to work with the school’s office for disabled students and notify their professors at the beginning of each term that they need some assistance. If they wait and ask for help after they are having difficulties, professors tend to think that their explanations are excuses rather than legitmate requests for help. Go to the book store and get a guide on colleges with support programs for students with disabilities. These are the schools you apply to. 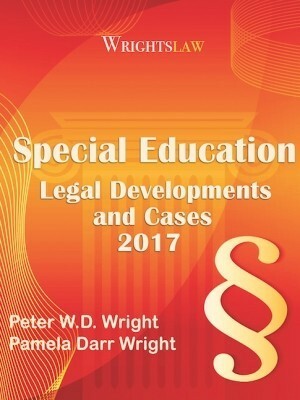 By Law, Learning Disabilities are covered under the Disability Act. The Disability Offices are fantastic. I have had personal experience when my son was a student at Florida Atlantic University. It was a wonderful experience. He loved his counselor and she became like his second Mom. Actually he did better in the college environment than high school!